It is great! warmed up with it before i climbed today and noticed a difference right away. Tendons felt much better. Awesome product. New power fingers are great! Well designed for use over and over again. 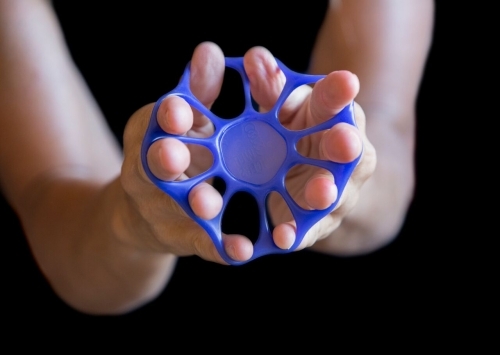 I use them to both warm up and a treatment for golfers elbow. They seem to work really well at training my antagonist muscles. The different strength bands and the ability to double up allows you to tune the resistance you want. Powerfingers are awesome! My elbows often hurt from climbing, and my right elbow used to hurt from keyboard and mouse use. 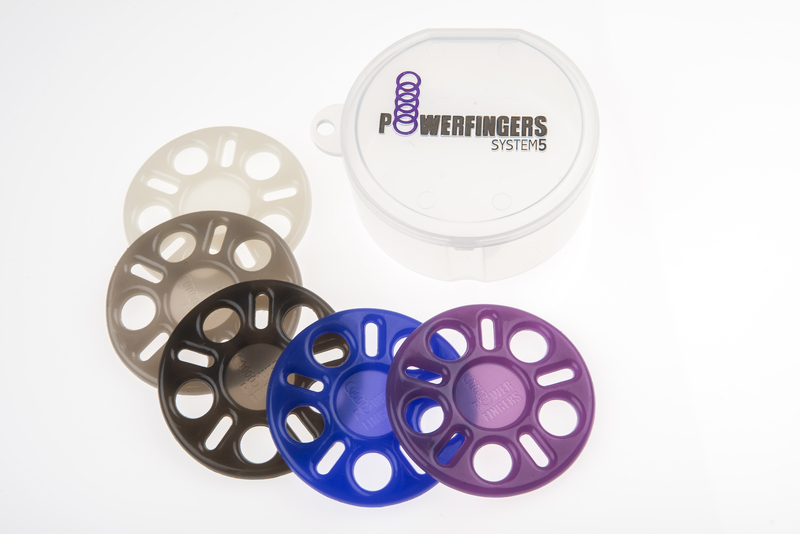 Using Powerfingers has been more effective than any other treatments I’ve tried. I use them a couple times a week and always keep them handy in my backpack and in the car for long drives to the crag. The multiple resistances are great–the easiest one is perfect for when you’re super cold, trying to get warm for your first climb at the crag.